Found 9 file extension associations related to Filmora for Mac and 3 file formats developed specifically for use with Filmora for Mac. Filmora for Mac (originally Wondershare Video Editor) is an easy and powerful video editing tool used to edit and personalize videos with rich music, text, filter, elements. Filmora for Mac has a simple drag and drop interface, which gives you the freedom to be artistic with the story that you want to create. What is WVE file, how to open and convert it - Detailed information about Wondershare Filmora .wve project files. 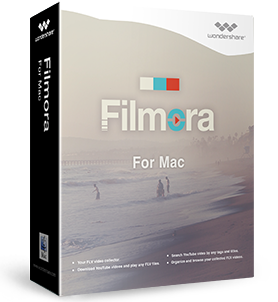 If you need more information please contact the developers of Filmora for Mac (Wondershare Software Co., Ltd.), or check out their product website.